Feel the energy. Exciting. Luminous. Pulsating. 5th avenue NYC Lights is inspired by the pulsating excitement of the glistening town. As the sun sets on the avenue, the dazzling display of glitter stuns and the rush of the moment thrills. This sparkling floral fuses Chilled Cranberries, citrus oils, Creamy Orris, AmberXtreme, Patchouli Heart, Sandalwood Oil and Tonka Beans Absolute for a dramatic fragrant experience. 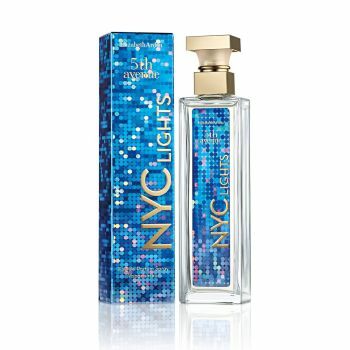 For the woman who is invigorated by the NYC lights.